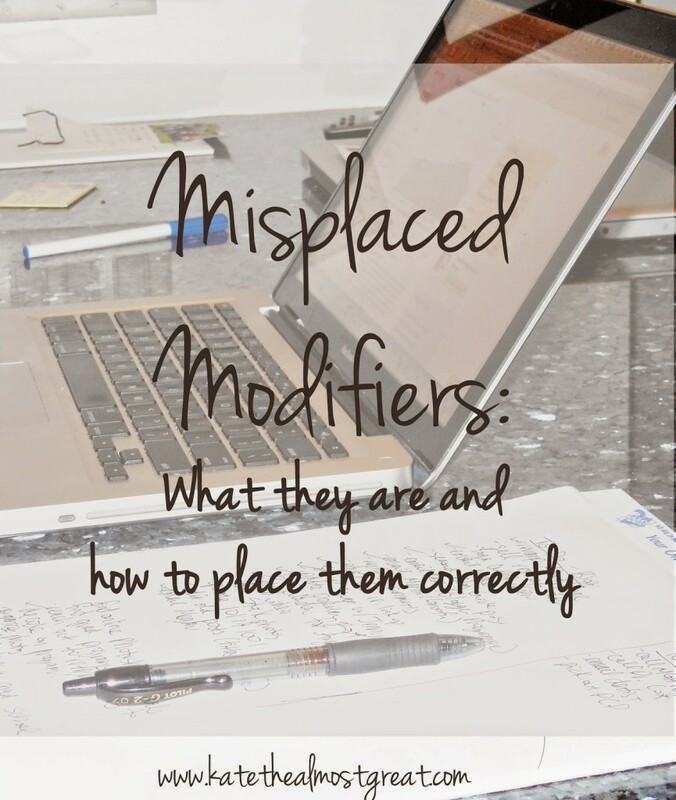 What are modifiers: They are words, phrases, or clauses that are separated from the word they modify (aka describe to further detail). Where they belong: By or near what they modify. Why it’s a problem if they’re in the wrong place: The sentence becomes confusing. 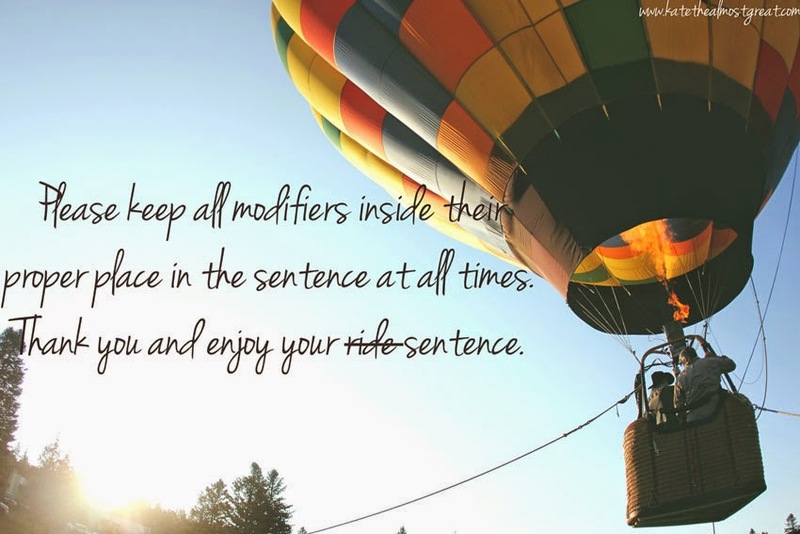 While logically the reader might know what the sentence means with the modifier misplaced, the sentence could accidentally create another meaning. Alternatively, your sentence could just be incomplete, a fragment, or a run-on because of the modifier. This is especially the case when the modifier is at the end of the sentence, hence what we call dangling modifiers. Example sentence with misplaced modifier: The blogger found the perfect picture for Instagram walking down the street. The problem is: The Instagram picture isn’t walking down the street; the blogger is. How it could be fixed: While walking down the street, the blogger found the perfect picture for Instagram. Example sentence with misplaced modifier: The broken TV remote sat on the counter. The problem is: The way this is arranged, it sounds like the TV is broken. Yes, if you said that someone would understand you. But it’s not grammatically correct and actually changes the meaning of the sentence. How it could be fixed: The TV’s broken remote sat on the counter. Example sentence with misplaced modifier: Sadly, he headed home for the night. The problem is: Sadly modifies how he headed home, not him. Yes, I know that he is sad in this sentence. But grammatically we are talking about how he headed home. How it could be fixed: He sadly headed home for the night. Example sentence with misplaced modifier: They only earned half of their goal. The problem is: Only implies that no one else but them earned money, so here only modifies they while it should modify earned. How it could be fixed: They earned only half of their goal. Example sentence with misplaced modifier: The group went shopping wearing winter coats because of the cold. The problem is: Again, we understand what this is saying, but the way it is phrased has the modifier affecting shopping, and it should apply to the group. How it could be fixed: The group, wearing winter coats because of the cold, went shopping. Do you have any questions or grammar tutorial requests?